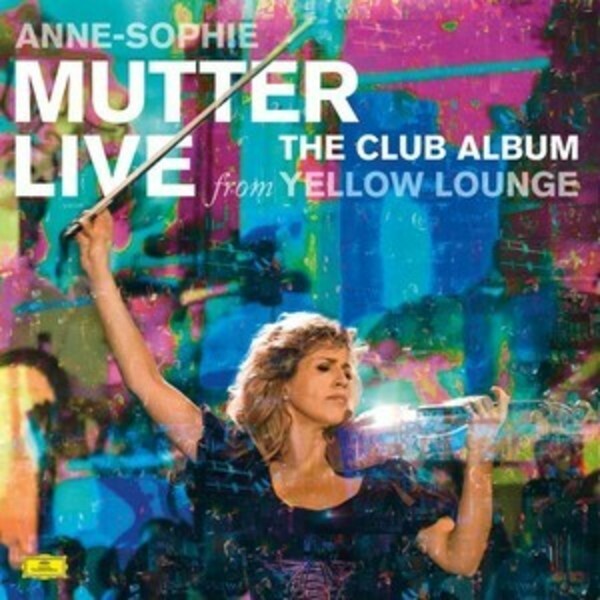 Virtuoso violinist Anne-Sophie Mutter created a sensation at Berlin’s Neue Heimat venue, recreating the impact of her legendary 2013 Yellow Lounge appearance, when she attracted one of the biggest crowds in the history of Deutsche Grammophon’s ground-breaking 'classical-goes-clubbing' series. Now she’s pushing the electric atmosphere to the limit by making the first-ever live Yellow Lounge recording. On stage with Mutter were her long-time accompanist Lambert Orkis, the Mutter Virtuosi – a hand-picked ensemble of young alumni of the Anne-Sophie Mutter Foundation – and star harpsichordist Mahan Esfahani, whose solo debut with Deutsche Grammophon was released in Autumn 2015. The programme spanned three centuries of classical music – from Bach and Vivaldi to Gershwin and John Williams – and was conceived by the violinist exclusively for this Yellow Lounge event and the accompanying album. Yellow Lounge fuses the classical world and club culture, combining performances from stars of the former with cutting-edge DJ and VJ sets in urban spaces. On turntables this time were DJs Clé and Canisius, who have worked numerous Yellow Lounges, as has world-renowned VJ Philipp Geist, who was responsible for the stunning visuals.